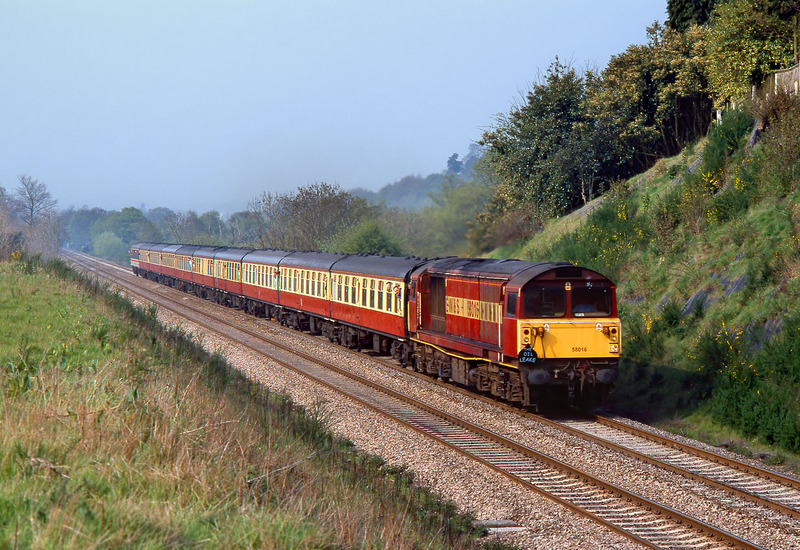 58016 nears the summit of ferocious 1 in 37 Lickey Incline at Blackwell on 6 May 2000 with the Pathfinder Tours 1Z36 06:10 Reading to East Leake 'Oil Leake' railtour. Obviously the effort was too much for it, as it failed later in the day, luckily on a section of the tour where there was an assisting locomotive. The 1950s carmine and cream livery of the coaching stock is an excellent match for the EWS livery of 58016.